No, before anyone even goes there, TLC is not meant to stand for “Tender, Loving, Care” or “The Learning Channel.” Here, I would like to think of it as, “Taking Liberties Choosing.” Choosing what, you ask? Taking liberties with the choice of music shared with students in their formative years of music education. These childhood melodies were all fine well and good for beginner recorder students because the combined notes, rhythms, melodies and finger positions necessary to play a completed assignment were simple enough to foster what would feel like a successful musical experience for the students. In other words, the feeling of achievement brought on by learning a complete song. To that end, there are definitely some music educators out there now who have an interest in diverting from the road of the status quo and that’s what makes what’s mentioned above feel like a bit of a restrictive ceiling by comparison. I spoke with Thomas Neeson, a music teacher with the Shewsbury Mountain School, a public school dedicated to students aged pre-K through grade 6, and the Long Trail School, an independent, International Baccalaureate school dedicated to students in grades 6-12. Neeson’s specialty is the trumpet and he works as both an instrumental and choral educator. A well-rounded listener of music, Neeson is not afraid to bring in music of the new, and the classic, to his students –both for listening and for playing. We talked why this kind of thinking and approach to music education can be beneficial, how Neeson makes it work and where he thinks the direction of music education could go if more teachers incorporated a less traditional perspective into their lesson plans. Kira: We both know that every music teacher out there has their own sense of self and their own way of bringing music to the classroom – even after very uniform exposure to many tried and true collegiate methods – just as there are all different kinds of musicians who play the same instrument. How do music and education fit together in your life as a teacher? Is the way you view them now much different from how you did upon first graduating from college? In what way? Thomas: As an elementary and middle school teacher, I definitely use many of the tried-and-true rehearsal techniques taught in collegiate music education programs, but I temper them to fit within my own personality and make them work with the relationships I’ve built with my students. Much of what you’re taught in college is about the importance of outward seriousness and professionalism, particularly as a young teacher new to the profession. The biggest balance I’ve tried to strike is one between taking what I do seriously without taking myself too seriously. I’ve never been a fan of the “don’t let them see you smile til Christmas” mentality held by many old-school band directors. You may get good performances with that approach, but I find that I remember the relationships I had with my teachers and how they made me feel about myself and my craft far more than I remember specific concerts. Kids are people, and they need to feel like you care about them or they won’t respond to you. Kira: Can you share what makes you gravitate toward some of the more classic artists and bands that you listen to and why you decided to try to incorporate those artists into your class curriculums and lessons? Thomas: On one side of the coin is the simple fact that it’s good music. Duke Ellington once said something to the effect of “there are only two kinds of music, the good kind and the other kind,” and that is my guiding philosophy when it comes to picking music for my ensembles. I’m of the opinion that there is good music to be found in any genre if you do enough digging. If it’s good music and you can arrange it in a way that engages the ensemble members and teaches a core musical concept, there’s no reason not to program it on a concert. On the other side is the fact that I teach in a small school with sometimes unconventional instrumentation. One of the inherent challenges of my particular program is that we don’t necessarily know that we’re going to have the requisite instrumentation for traditional concert band or jazz ensemble repertoire from year to year. I have three middle school instrumental ensembles, all of which have their own unique instrumentation. I’ve got pianists, guitarists, bassists, and singers. Who’s to say these instruments don’t belong in a middle school band? While it’s a challenge, it’s also an opportunity to stretch myself as an arranger and take something from the pop realm and make it accessible and meaningful in an academic setting. Kira: What kind of difference do you believe this makes for your students over choosing to structure and utilize more conventional lessons and songs? Is it just diversity for the sake of diversity? To expose young kids to figures and names outside the present music industry? To start and or supplement any exposure a student might have to certain bands and artists from their own families? Thomas: It’s kind of the same reason that some middle school ELA teachers are teaching “The Fault In Our Stars” or the “Hunger Games” series alongside the standards of the middle school English class canon. I think it’s important for my students to understand that the concepts they learn from the classics are applicable to what they hear on the radio. Music education, as a profession, tends not to take popular music seriously and I think that is largely to our detriment. Most American universities didn’t start offering jazz studies classes until the 50s and 60s. Jazz has been around in some iteration or another since almost the turn of the century, and it took music educators almost 60 years to start taking it seriously. I think that we’re making a similar mistake with popular music, rock and roll, etc. I am a classically trained musician who also loves punk rock, hip hop, jazz, heavy metal, and show tunes. On any given day Led Zeppelin may speak to me more than Vivaldi does, and I don’t believe that doesn’t make me any less of a musician. That’s the message I’m trying to send to my students when I program popular music, soul, jazz, and rock and roll. Kira: You don’t have to give all your great teaching strategies away but, what’s an example of a conventional approach that you have made your own in the past few years, which you are most proud of and like to apply in the classroom? Why? Thomas: I love teaching improvisation to elementary school musicians. As a guitarist, a 12 bar blues in E is very familiar territory for me. As it turns out, E minor pentatonic consists of many of the notes taught in the Recorder Karate book. One of my favorite things to do with my elementary kids is to take have them take turns improvising using E, G, A, B, and D over a 12 bar blues guitar accompaniment. It teaches independence, fosters creativity, and they love it. It also lets me introduce concepts like “trading fours,” swing, and the idea of a set of notes having a “home base.” Recorder improvisation is a really tried-and-true elementary lesson, and turning it into a jam session makes it feel new and fresh while reinforcing core musical concepts. Kira: Do you think it would be a good thing for a bit more unorthodox thinking/programming/arranging from behind the teacher’s desk to spread to more schools in the U.S., regardless of whether a school has plenty of instrumentalists at their disposal or not? Thomas: I think that as teachers, we are happiest and most effective in our jobs when we are able to be ourselves with our students. In my case, that means teaching music that I’m passionate about and enjoy in a way that’s constructive and pedagogically sound. Every music teacher may not share my musical preferences, but I think the sentiment is more important than the genre. If you’re passionate about what you do, the kids will respond to it. I think there are communities in which my approach and my musical preferences resonate, and communities in which they don’t. I love classical music, I love the standards of the repertoire, and I absolutely want Holst, Grainger, Vaughan Williams, Persichetti, and countless other magnificent composers to stick around. I just don’t have a problem with John Fogerty and Levon Helm having a chance along with them. Kira: Where do you see the focus of music education going in let’s say, the next five years? 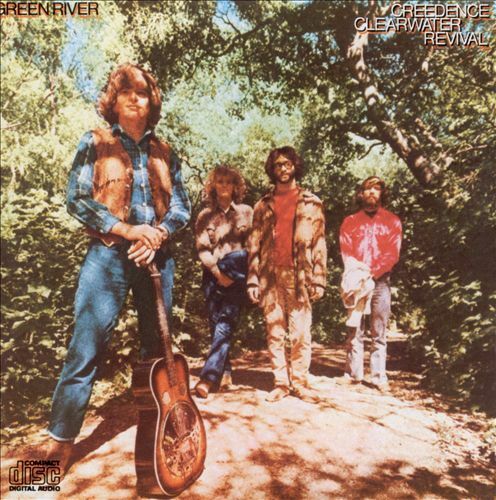 You think Creedence Clearwater Revival will become the next standard for recorder? But seriously, I think that as younger teachers like myself and my college classmates join the workforce, I think we’re going to start to see more pop and classic rock being incorporated into the curriculum. Nothing can replace the experience of playing the masterworks of the repertoire in an orchestra or a symphonic band but, I’m glad we’re also acknowledging that these traditional large ensembles are not the only musical experiences available to us. I want to be clear that I love classical and jazz, and that some of the richest and most rewarding musical experiences of my life have been performing works by Mahler, Beethoven, Vaughan Williams, Rutter, and the like. I just want us, as music educators, to start acknowledging that these are not the only experiences worth having in music. Everything is escalating for Foxtrax!